A&D Amarillo Asphalt is the #1 Paving Contractor that serves all of Texas with affordable chip seal services. A&D Asphalt has perfected our chip seal services throughout the years, and we have the satisfied customers to prove it. Our longevity is due to our dedication to affordable and reliable paving services. Having a licensed chip seal contractor by your side can greatly benefit the overall appearance and safety of your home or business. Our quality Chip Seal service is a paving option that is affordable and is drastically better than a dirt or gravel driveway or parking lot. Don’t consider it an upgrade, consider it the only way to pave your property. A&D Asphalt offers its clients high quality Texas chip seal application at an affordable price. 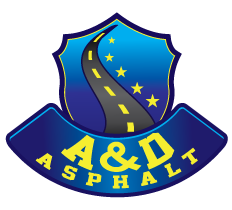 With three generations of Texas Chip Seal and paving expertise, A&D Asphalt is the go-to licensed chip seal and paving contractor Texas. Don’t consider A&D Asphalt an upgrade, consider it the only way to pave! Affordability is a huge perk when you chose A&D Asphalt for your Chip Seal service. First it is best to explain what Chip Seal Contractors actually do. 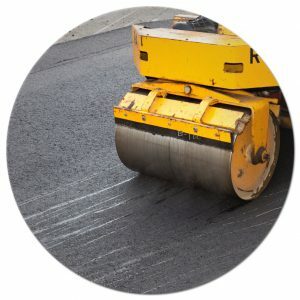 Chipseal or Chip & Seal is a paving resurfacing or surfacing practice that combines several layers of asphalt with one or more layers of aggregate. Typically Chip Seal is used for residential driveways or rural roads that carry lower volumes of traffic. 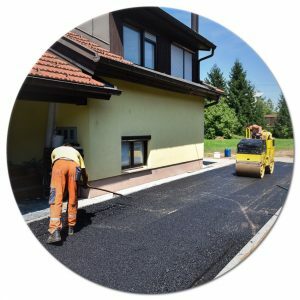 Here are a several reasons why choosing A&D Asphalt Asphalt Texas is the best way to go when repaving, resurfacing, or sealing your property’s asphalt. Protecting your existing pavement – To save you a boatload of money down the road, no pun intended, Amarillo Chip Seal Service is a wonderful way to take preventative measures in protecting your existing lot or driveway. Amarillo Chip Seal application protects your existing pavement from weather, wear and tear, and extreme heat in the summertime. Visit us today to see how the process works and if it is a good fit for your residential or commercial property. Affordability AND Quality – Compared to a concrete lot or driveway, A&D Asphalt Texas Chip Seal services are more affordable AND effective. We offer competitive rates for all of our services. A&D Asphalt has paving specialists that have been in the industry for decades. They get the job done right the first time for a bargain. A&D Asphalt realize that you work hard or your money, so we work twice as hard to make sure you keep that hard earned cash in your pocket. Because of our outstanding business and reputation, we are able to offer savings to our customers because they have taken such good care of us. We thank you. Easy Installation – Depending on the size of the project, Chip Seal Service isn’t a lengthy project. Now that we have perfected our chip & seal process, it is super easy for us to put down, while leaving your property in pristine condition. We also are excellent about working around our client’s schedules. The less hassle, the better, right? Easy to Maintain – Your Chip Seal surface can and will last for years to come, unless of course you’re hellbent on dragging a tractor or backhoe across it over and over again. It also allows for some essential rain water and other nutrients to get to the ground below without damaging the surface or longevity of your driveway or parking lot.